Hello, everyone I'm not very professional in electronics .I have done some research but still couldn't make it out. So I ask my question here to seek your help. Thanks advanced. 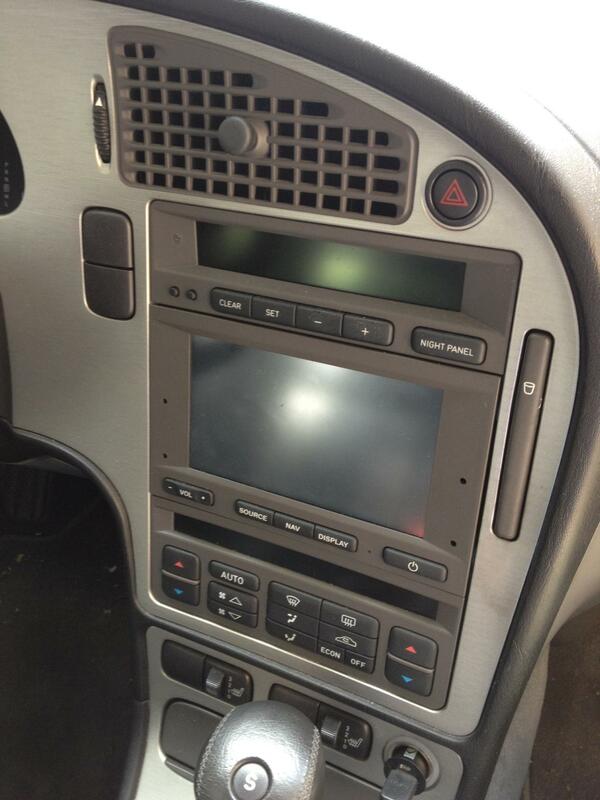 I want to install an AUX connection on my car navigation system. I have never done such thing before, though. I searched a bit around and a very similar installation to what I need. However, I don't have that cassette player but a navigation system, so the board looks different. I haven't really played around yet but I thought I'd ask some more experienced people if they see from the pictures of the board and/or the connectors whether it is obvious where to soldier the AUX input connection. If not obvious, maybe you could give me helpful tips what I would have to look at or where/how to get the necessary information. 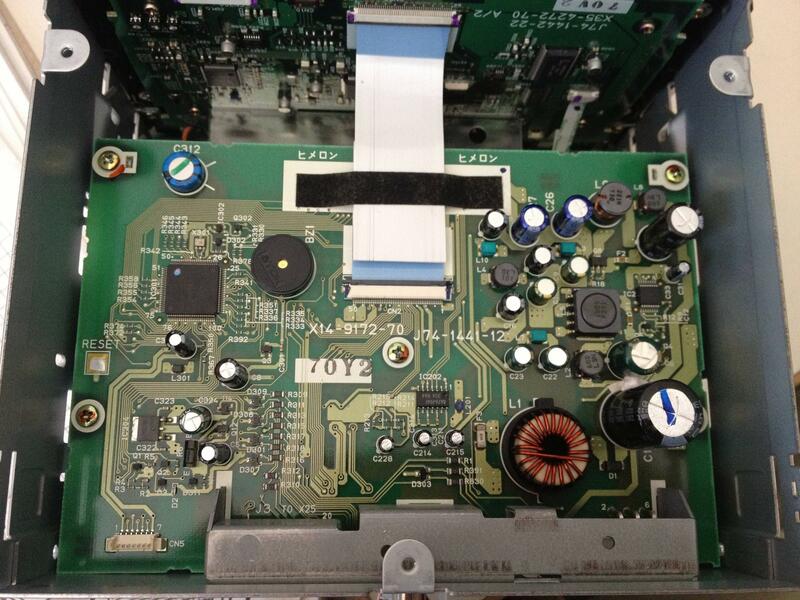 Thanks to a hint, the head unit might not have any audio signals at all on the board. The main unit is in the back of the car. From other sources, I have read that it is possible to install a telephone headset. This must be somewhere in the front of the car. Some more information about the telephone input is here. Some more about the audio system in general (but which mostly just confuses me) is here. The communication between the different parts is via the (I)-can protocol. There is the Saablin project - a small Linux - which has reversed engineered the protocol and enables usages such as to install a line-in (by emulating the CD changer). For example, see here. A similar project is an Arduino project here. However, that might be overkill for me. It is a Kenwood KNA-DV2200/S. I only have pictures from the outside yet as I haven't yet uninstalled and opened it. However, these pictures are already interesting. You have two cinch connectors there which look very much like a line audio input. There is also some not-connected plug with 5 pins (or so). Maybe that is for telephone and it would enable the cinch audio input somehow? What is that CN5 connector on the board which is not plugged? Or, what is that yellow cinch plug on the back? Edit: That is video input as it says on the back of the board. 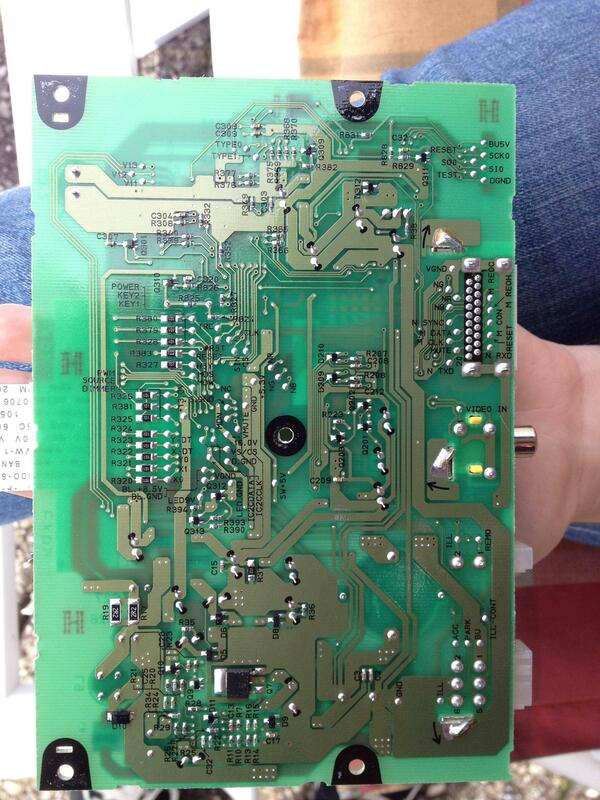 Or, is the whole unit just digital and the digital-analog conversion is done somewhere else in an external amplifier? I think that 6-pin plug is the output. I'm not sure if that is something digital or analog. What are (or might be) the connectors ACC, PARK, ILL, ILL-CONT, BU, REMO? •	NEC D703033AGC. Probably this microcontroler. •	78DL05F. 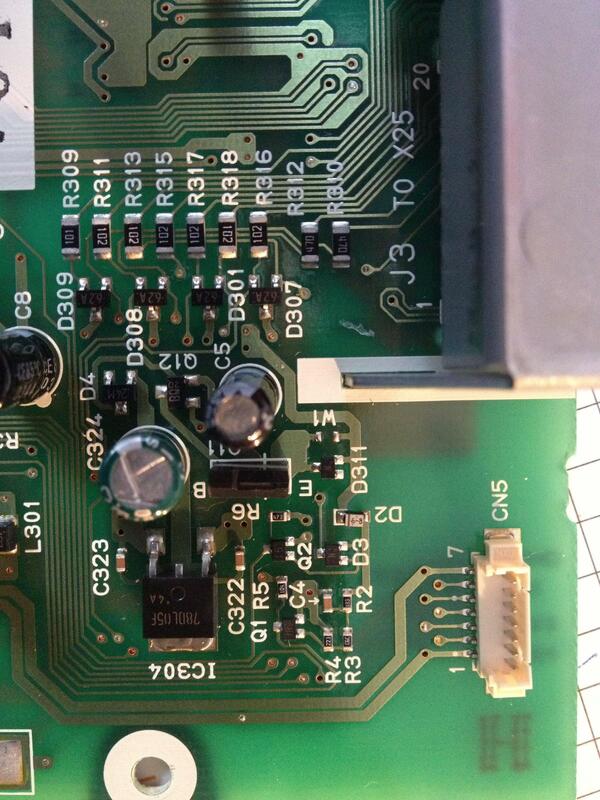 This (Semiconductor) or this (Low Drop output Voltage Regulator). •	7611C. Not sure which one. Maybe an amplifier? 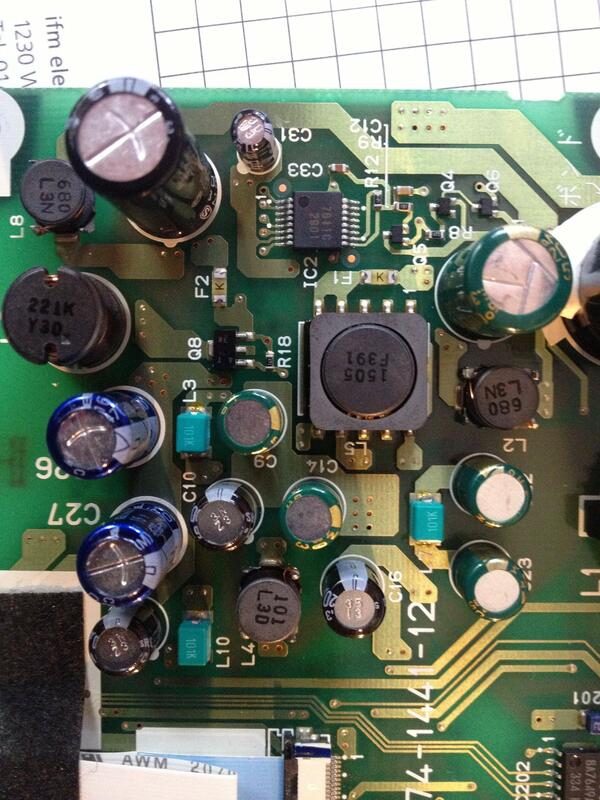 The whole section of the board seems all radio related (multiple coils and capacitors - I added a picture of that). Or maybe this one (Bipolar IC For Switching Power Supply Control). Oh man, this takes me back...I put a line input jack on my old 1995 Caravan back in the day using the CD changer input on the rear. I found this, which from reading the comments works for your 2004. It uses that telephone line. ACC, PARK, ILL, ILL-CONT, BU, REMO? 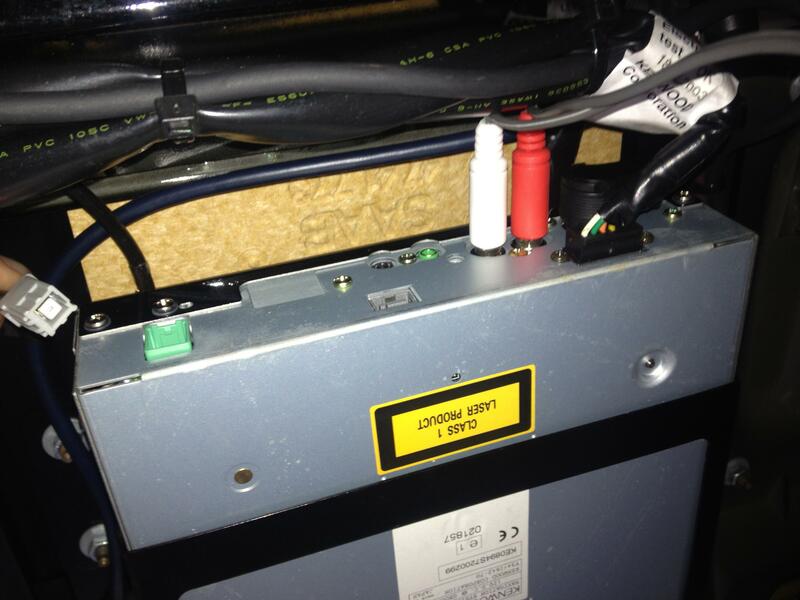 ILL = variable voltage signal from dimmer switch to indicate current level of illumination requested by vehicle. ILL-CONT = "Illumination, Constant" = not 100% certain, probably 12v input to indicate lights on. BU = Back Up, input line indicating that vehicle is in reverse, which would cause the unit to put the image from the backup camera onto the display. 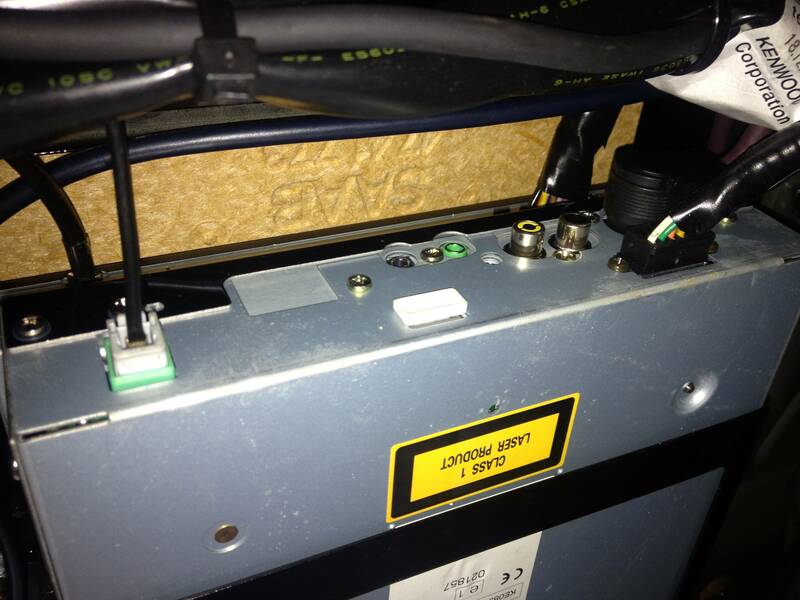 REMO = Remote, 12v output to signal outboard systems that audio is happening, usually to subwoofer or outboard amp. PLEASE BE AWARE THAT THIS IS ALL CONJECTURE. Do not destroy your equipment on my say so!